Santorini is without a doubt a unique island – who could possibly disagree? With every step you take, the island’s primitive energy seduces you, while your eyes greedily admire the magnificence of the landscape: infinite blue on white background. Santorini overflows with mystical grace, enchanting views and romantic aura. Nothing could ever portray the unsurpassed beauty of the island in words; you have to see for yourself! The southernmost island of the Cyclades with the unique sight of the volcano will offer you the experience of a lifetime…until your next visit. Once you go Sant, you ’ll always go back! Whether you visit the island for the first time or you are one of the regulars, this 4-day Santorini itinerary guarantees that you will make the most of your trip. Still thinking about it? Here’s the ultimate travel combo for your 4 unforgettable days in Santorini. Arrive on the island and check in to your fabulous Santorini luxury villa. 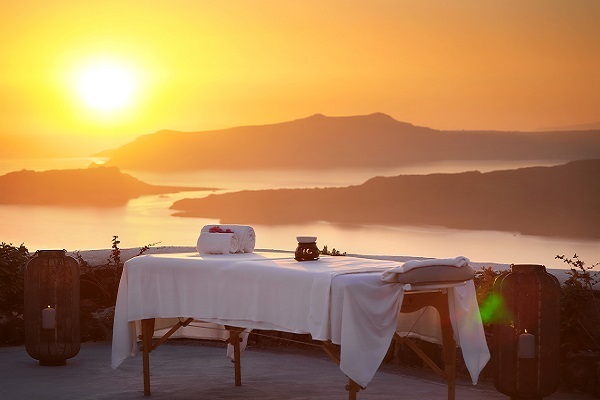 Relax on the terrace, enjoy the famous volcano view and let the Aegean breeze caress your skin. Go out for a walk around Fira town, meddle withpeople strolling the cobblestone streets,do some shopping and enjoy a sunset dinner with a breathtaking view to the caldera. From day one, you will fall in love with Santorini. If you have visited the island before, you willsoon be reminded of all the reasons you fell for it so hard! Start your day with a full-body de-stress massage and a refreshing dip in the jacuzzi. Your batteries are full, so off to Pyrgos, a traditional hilltop village, that will steal your heart! You will visit the Monastery above the village, where you’ll take photos of the astonishing view. You will then wander around the quaint streets, where the enticing smell of local food in the making will lure you to a lunch at one of the village’s traditional taverns. You ’ll have the chance to taste local cherry tomatoes, the famous white eggplant,fava bean salad, chloró cheese and of course the incomparable Santorini wines from local vineyards. What’s next? The beach of course! Head down to Perissa and marvel at the black sand beach. You haven’t seen anything like it, that’s promised! Finish your day with a fresh-fish dinner at a tavern on the seafront. You can’t go to Santorini and not experience the essence of this island, which is of course the volcano. 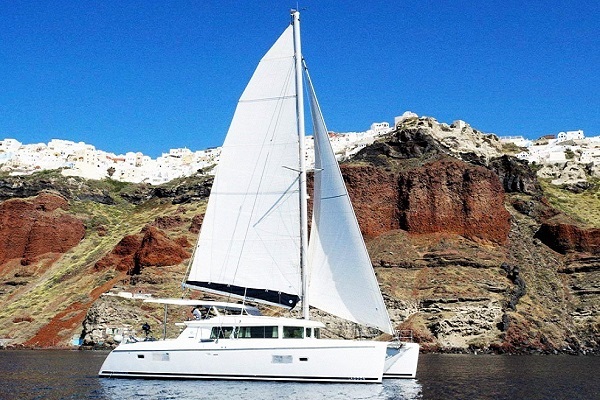 Put on your swimwear and hop on a catamaran cruise around the volcano. The scenery will leave you speechless, while you capture your most instagrammable moments on camera! The dives off the boat will make you hungry, but there is no need to worry! Sit back and enjoy a delicious BBQ lunch on board! Back to the villa for a siesta and jacuzzi relax. After freshening up, start your evening with a stroll in Oia, the boutique village with blue-domed churches and sun-bathed terraces. Wander around the quaint streets, browse the adorable shops and get some fresh air before you end up having dinner in one of caldera view restaurants, where you will have the chance to watch the most spectacular sunset worldwide! Hands down! Wake up early and start your day with a rich breakfast based on local ingredients and a nice, cold freddo espresso. 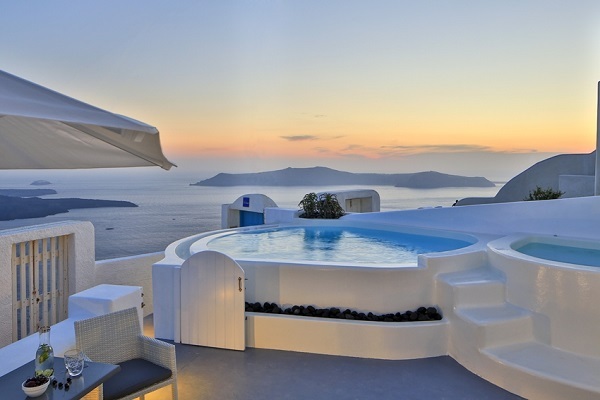 Spend the rest of the morning relaxing in your Santorini private villa! Yes, we know, you can’t get enough of this view!Once fortified, leave for a wine tour of the famous Santorini wineries and have sunset tapas and wine tasting. Don’t forget to buy some vinsánto, the local fortified dessert wine, made from raisins, to bring back home with you. 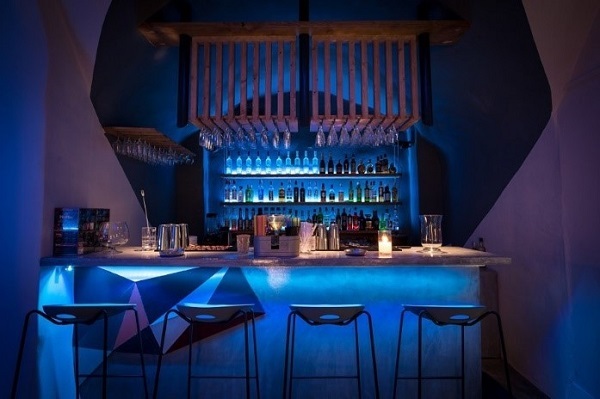 Return to the villa, take a revitalizing shower, muster that energy and head out for a night of cocktails and dancing at the best molecular bar of Santorini, the renowned MoMix in Fira. If you are a rum lover, Hugo’s Brunch will be your new addiction! For those who partied till the sunrise, your last day on the island is all about relaxation! Get up, enjoy one last jacuzzi dip before you take a private transfer to the port/airport to head back home, full of unforgettable experiences of one of the best trips to Greece you’ve ever had! Goodbye Santorini! 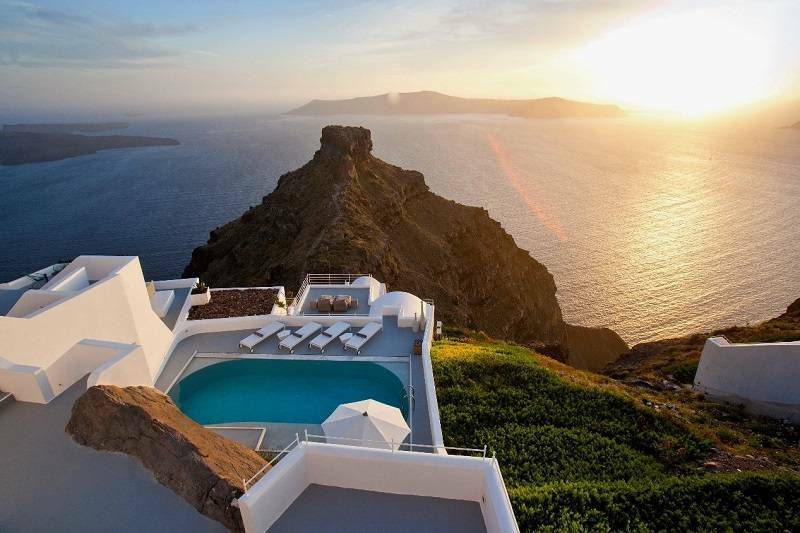 Till next time, browse through our Santorini Luxury Villas Collection and wait for next summer!